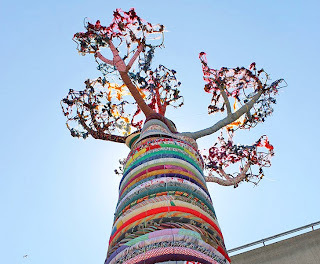 A towering baobab tree made from colorful strands of recycled textiles recently rose on the bank of the River Thames in London. 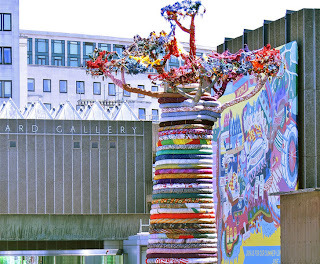 Dubbed “Under the Baobab”, the art installation was created by Pirate Technics for the Southbank Centre’s Festival of the World. With the help of local students from the Chelsea College of Art and Design, the group stacked rings upon rings of fabric to form a beautiful blooming tree.